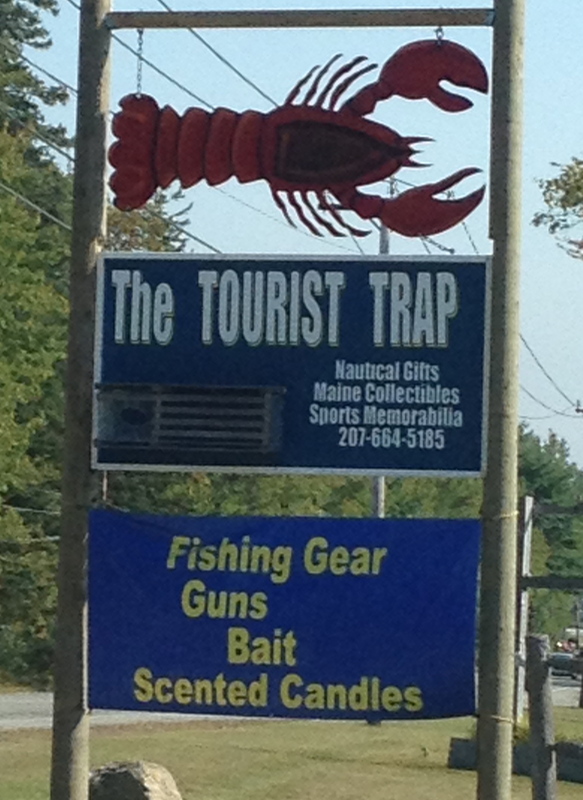 Behold the latest addition to the white-hot, uber-hip Downeast shopping scene. Who knew that outdoorsmen enjoyed swanking up their tents with the aroma of lavender and pumpkin spice? Or that they chased away that persistent campsite miasma of rancid Dinty Moore-induced gas, unwashed bodies and week-old Deet with the delicate fragrance of vanilla chai? Or perhaps by “scented candle” they mean this? Of course they do. What else makes sense? Posted on September 11, 2013, in Commentary and tagged Bacon, Bacon Scented Candles, Candles, Guns, Humor, Kitchen Slattern, Pumpkin, pumpkin spice, Scented Candles, Slattern. Bookmark the permalink. 8 Comments. You can’t beat New England this time of year. All of those out-of-staters driving up and down the back roads looking at leaves. They don’t stay around to rake the damn things up though. And the nuts looking to kill a deer or two. Maybe they lure the critters with the heavenly scent of jasmine and hay. No need for camouflage if the poor animals just wander up to your tent. I dunno, Wendie. When I think of guns, fishing and bait, my thoughts automatically turn to scented candles. What else could rid the fishy smell of a day-old Rainbow Trout or a Bambi carcass better than a jug-sized candle that smells like Jack Daniels? Wow – am I (or my iTunes player) psychic, or what! As soon as I typed the above words, Johnny Cash started playing on my iTunes. I’m thinking the theme from Deliverance might be more appropriate here. Now there’s a scent I can get behind! You are always thinking, girlfriend.